« Applied Behavior Analysis: What is it and How Do We Use It? 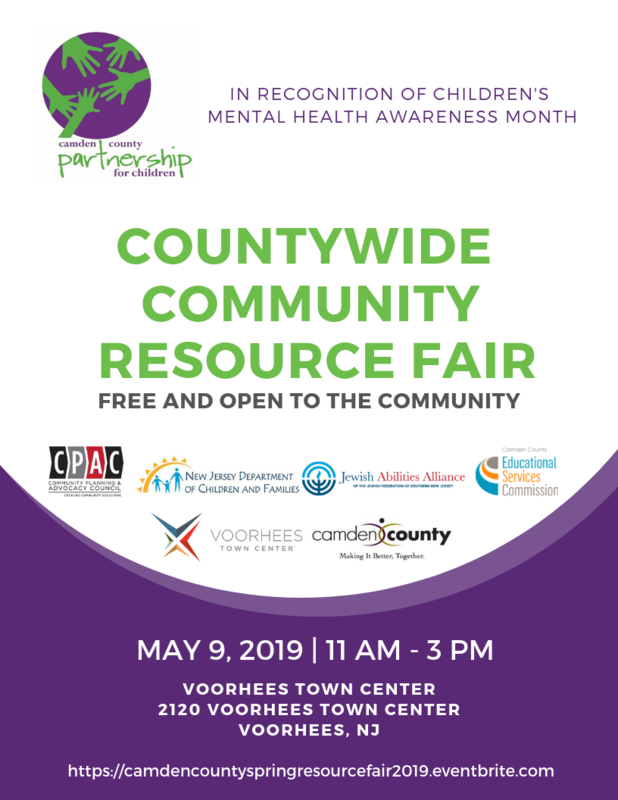 In recognition of Children’s Mental Health Awareness Month, the Camden County Care Management Organization (CMO) has partnered with: Children’s Inter Agancy Coordinating Counsil (CIACC), Jewish Abilities Alliance, and Camden County Educational Service Commission to offer our community a FREE Resource fair. If you would like to attend this event as a “Vendor” please complete the registration process ASAP. Only those who register as a Vendor will be permitted to set up their table. All Vendors will need to bring their own table, chair, and any promotional items that they wish. We are expecting over 200 + guests, so please be sure to order enough materials to market your agency and services.